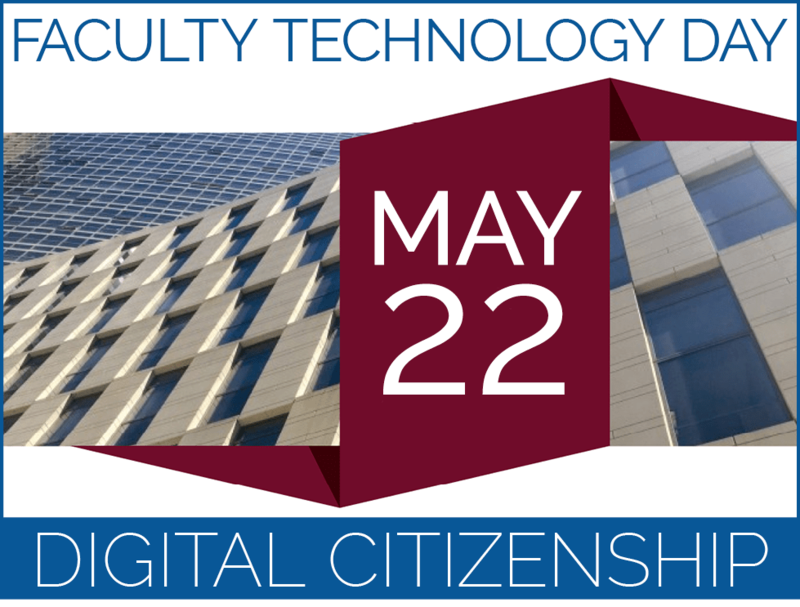 Faculty and staff are invited to our annual Faculty Technology Day on Monday, May 22, at Lincoln Center. RSVP here. This year’s Faculty Technology Day theme is Digital Citizenship. Throughout the day, in concurrent sessions, we’ll explore the responsible and effective use of digital resources for teaching, learning, research, healthcare, security, commerce, information literacy, law, and much more. As always, we will serve breakfast and a hot lunch, and host a faculty raffle. This year’s prizes include an iPad Pro, an iPad mini and more surprises. Ergonomics: How Can You Avoid Pain or Injury Associated with Computer Use? Follow us on Twitter at @FordhamIT and use the hashtag #FacTechDay17. We look forward to participating in this day of conversation, discovery, and exchange of views with you.